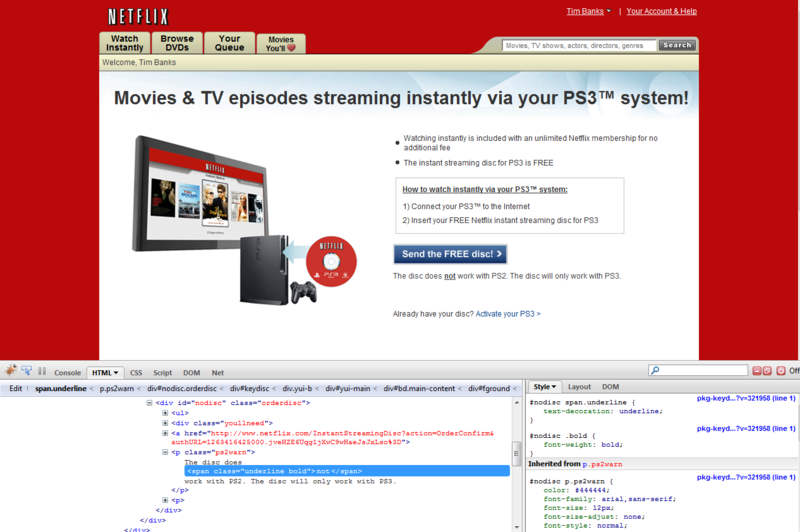 Awhile ago I was signing up to get the PS3 Netflix disc and decided to inspect the source of the page. Shame on you Netflix. I can’t recall the amount of times I have loaded a web page in mobile Safari and wished this feature existed. It seems this feature would be very important for small screen devices since skimming large amounts of data is not easy. I’m not sure how this will look in the UI, but I will update this post once I get the update installed. After I got the update installed I loaded up Safari to check out the new find feature. I loaded up the Apple website and started poking around to try and find the feature. The first button I tried was the middle button on the bottom bar that looks like a box with an arrow coming out of it. 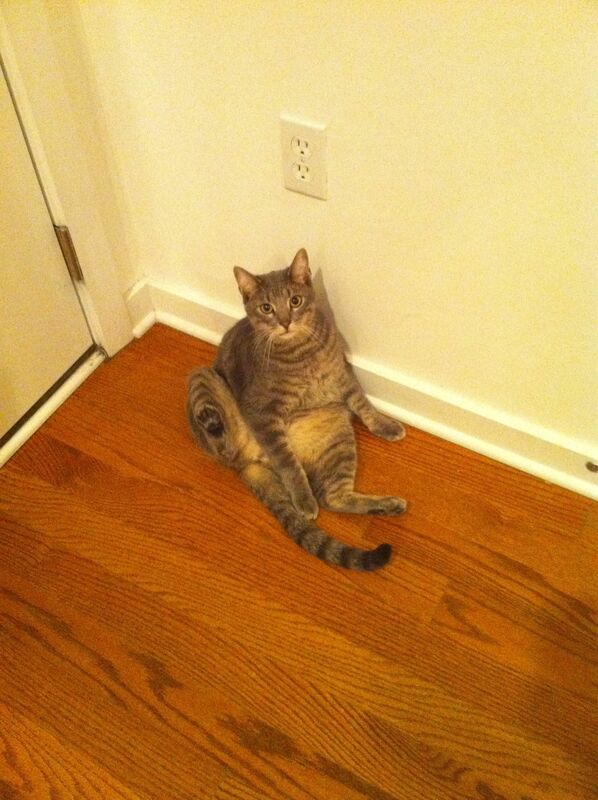 It was the wrong choice, but it did show me where the “Print” button was. I then tried clicking each button including the URL and Google search and still couldn’t find where the feature was. I then opened the Google search to see if anyone else is having problems. As soon as I started typing a new bar appeared right above the keyboard saying how many matches there were on the current page. Apparently you have to use the Google search feature to find items on the current page. This to me doesn’t make sense at all. How is that intuitive? I click “Google” to find what is on the page? Weird. After typing in the term to find on the page, you then have to scroll down past all the results that Google returned. Again, this seems a little out of place. 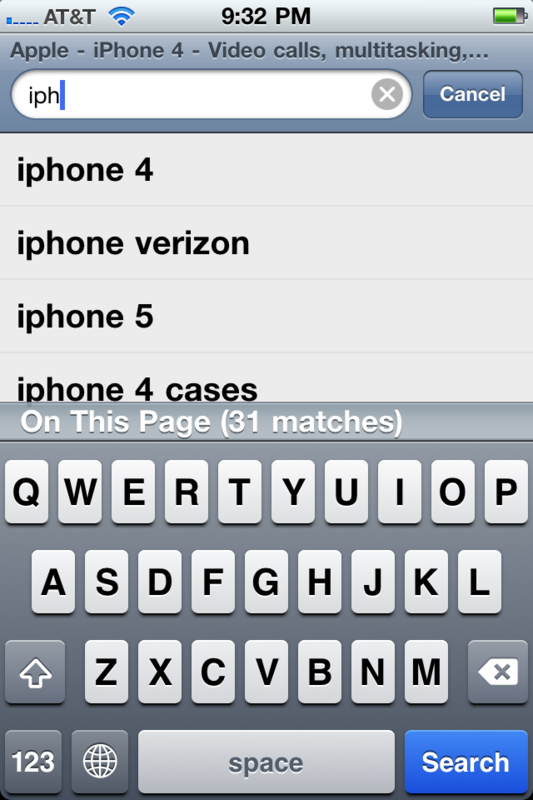 Finally, clicking on the “Find ****” line opens up the interface for the find feature. 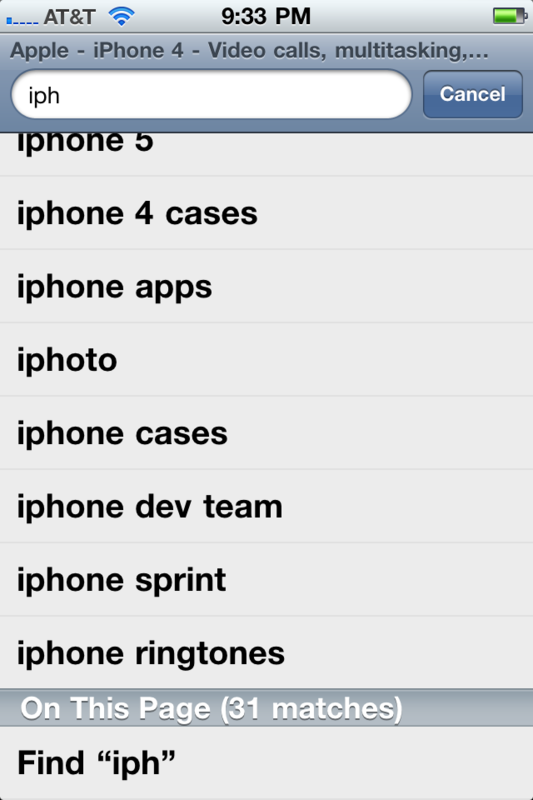 The term you are searching for is highlighted similar to how the desktop version of Safari does it. The term is highlighted in a yellow bubble. A new toolbar at the bottom allows advancing through the matches and there is a “Done” button for when you are finished. Overall I am not a big fan of how the feature is implemented. I feel Apple could have done a better job with the user experience. This is another one of those features where you ask “Why wasn’t that in version 1.0?”. It seems like it would be so easy to add this feature in, but apparently it never seemed important enough to Apple. I have always been disappointed with the lack of choices for tones for SMS/MMS. Not only that, there are only 1 or 2 that are any good and the others are just annoying. Having the ability to assign certain tones per contact will nice. However, if the new tones aren’t any good then you will be stuck using the annoying tones. I still wish Apple would add the ability for custom SMS/MMS tones. How hard would it be? They could even sell them for $1 and make a killing. I would assume they are eventually going to go this route. I was taking some old clothes up to the local Goodwill to donate them and decided to browse around while I was there. I found myself in the back of the store where they keep all the electronics, secretly hoping to find a good deal on something. As I was skimming the less than desirable selection, something caught my eye. 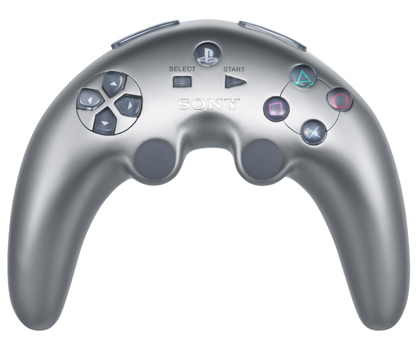 At first I thought it was one of the original PS3 controllers (see below), but after taking a closer look I actually started laughing out loud. It is a wireless controller from Intel that is a god awful shape. 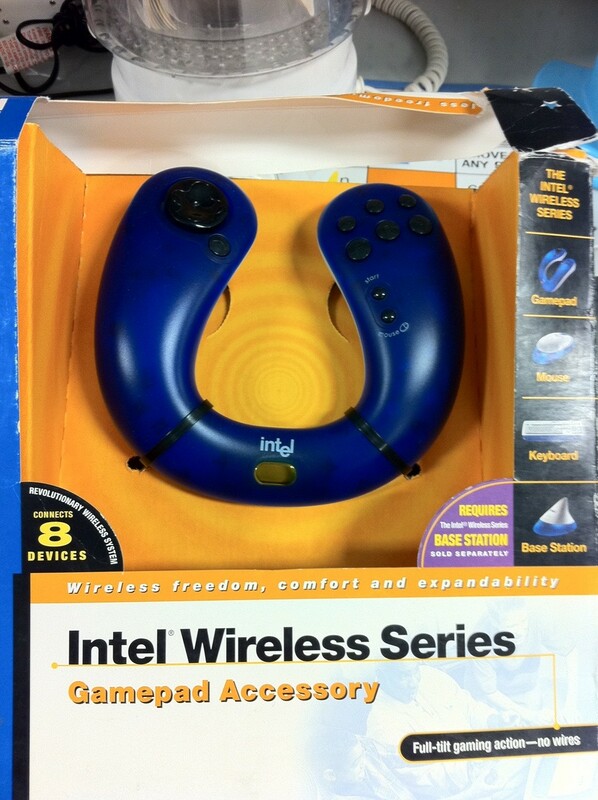 The controller is apparently part of a series of wireless devices from Intel as you can see on front of the box. I am not sure Intel is ready for the game peripheral market just yet. 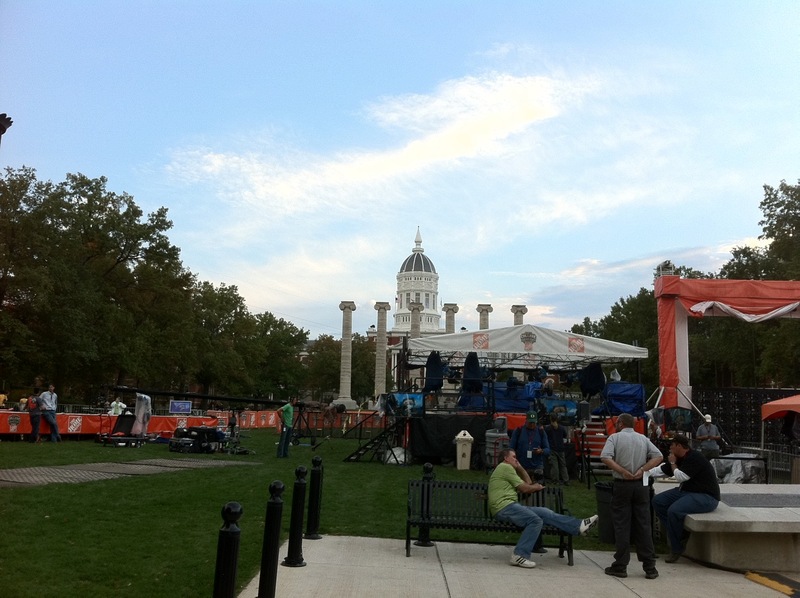 Since I am a big football fan and a big fan of the Missouri Tigers I was so excited to hear that ESPN’s College GameDay would be headed to Columbia, MO for the first time ever. 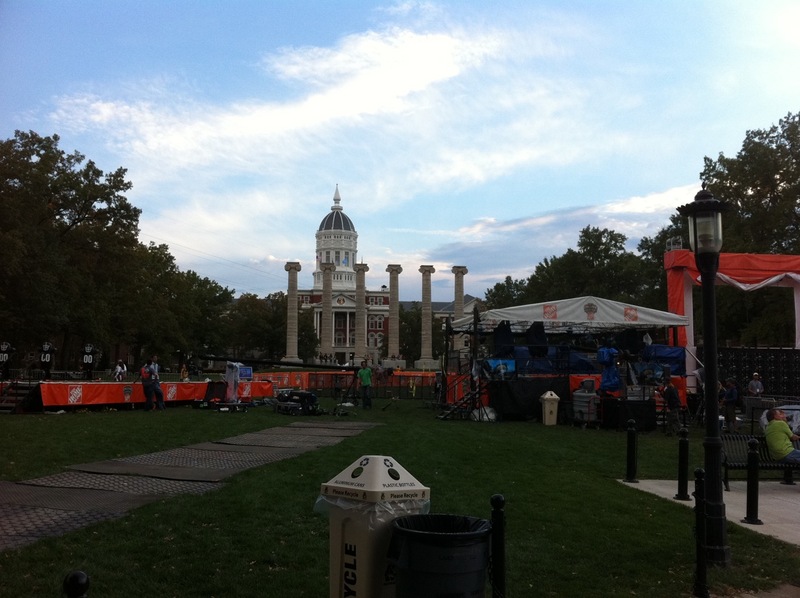 With OU and Mizzou holding #1 and #11 ranking in the BCS poll, this game is huge for Missouri. 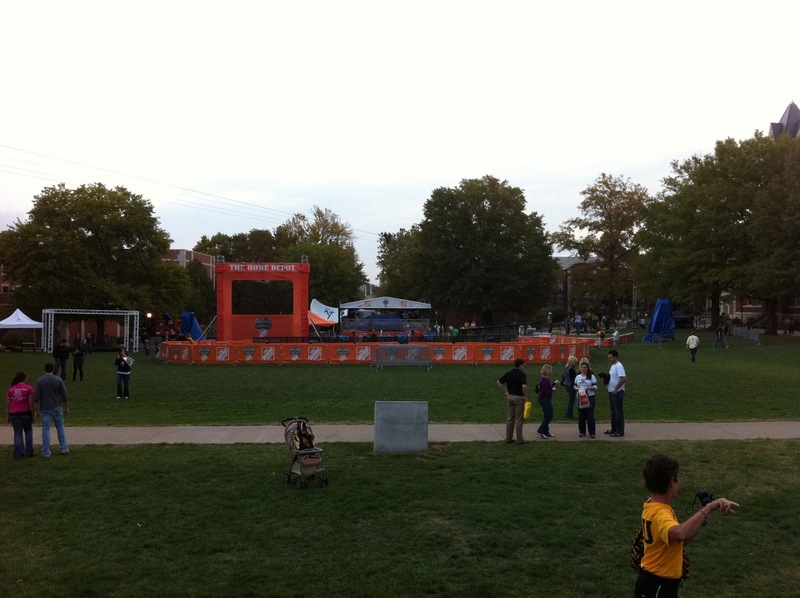 Not to mention it is Homecoming for Mizzou. Below you will find some pics of the stage on Friday night before the GameDay broadcast along with a video where Lee Corso fakes the crowd out by putting on a Missouri Tigers helmet and then switching it with the OU mascot. The crowd was huge and very loud. After the live broadcast Chris Fowler and the other hosts turned around and mentioned that we were an “awesome, awesome crowd”. When I was listening on the radio I could barely hear the announcers talking over the crowd in the background. I hope the enthusiasm continues into the stadium tonight. When the Internet Explorer 9 Beta was nearing release, Microsoft approached Reddit to get feedback from the community regarding the browser. Users of Reddit were able to ask questions that would eventually get answered by the IE development team themselves. They were hoping that if actual users/developers nit picked the beta, they might actually make a decent product. It has now been a few weeks since the beta came out and Microsoft has answered some of the initial questions. After reading through some of the answers, I have a feeling IE9 is not what I was hoping it would be. One reason IE6 stuck around so long is that Microsoft didn’t force users to upgrade to the newer version. Most users do not understand why they need to upgrade or even know how. When there are security reasons involved, there needs to be some sort of automatic update. Just take a look at what other browsers are doing. Why can’t Microsoft follow that pattern? I couldn’t care less what the top 7000 sites are doing. There are standards for a reason and they should be supported regardless if the top 7000 sites are using them or not. How do we know the top 7000 sites reflect what the rest of the web is doing. If standards still aren’t supported there will still be IE only sites that are built and will still only look good in IE9. Why doesn’t Microsoft just support the standards like other browsers and not worry about who is using what. Unless there is a standard for integrating websites into an operating system, I can see this leading to more IE9 only sites. I can see the advantages of having websites work closer with the OS, but not if it is OS specific. Does Apple have features that only work in OS X? I haven’t had a chance to read through every single answer, but reading through the first few didn’t sit well with me. I am not a Microsoft. I actually want Microsoft to succeed with IE9. Developers need Microsoft to succeed IE9. So please Microsoft, listen to the community instead of your marketing team when choosing what goes into IE9. I have had the WordPress app on my iPhone for months and never actually opened it up. I decided that today would actually be a good day to check it out since I am planning on making a post about the new HDR photo feature in iOS 4.1. I have found the app to be a little sluggish when changing views and saving information. I would rather it show some sort of message instead of just hanging. Below I am just testing out the ability to and images and such. 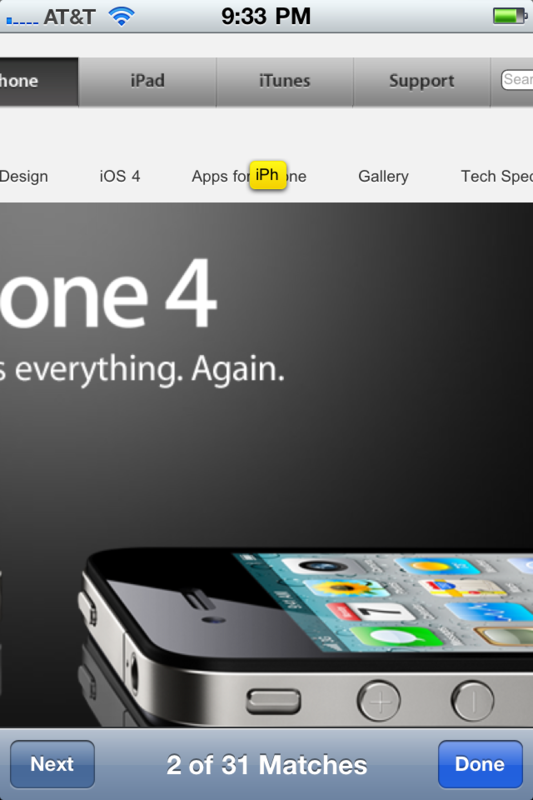 Today Apple released iOS 4.1 for the iPhone 4, 3GS, and 3G. One of the noted features was HD video upload to YouTube. I have uploaded a couple videos to YouTube in the past and the quality was far from desired. After the installation I took a quick 20 second video of the view from my porch outside. I selected the option to upload to YouTube and let the phone go to work. The upload process was actually pretty quick. The video is was 6.8 Mb and it took about a minute or 2 to upload. As soon as it was uploaded it was viewable online which was pretty nice. Below you will find the video that I uploaded. The first thing I noticed was that the 720p option was not available to select. The phone can apparently support up to 720p recording so I am confused as to why it didn’t upload in 720p. Other than that the video turned out pretty good. I think this might be a nice feature to actually use in the future. UPDATE: It looks like the 720p option is now available. 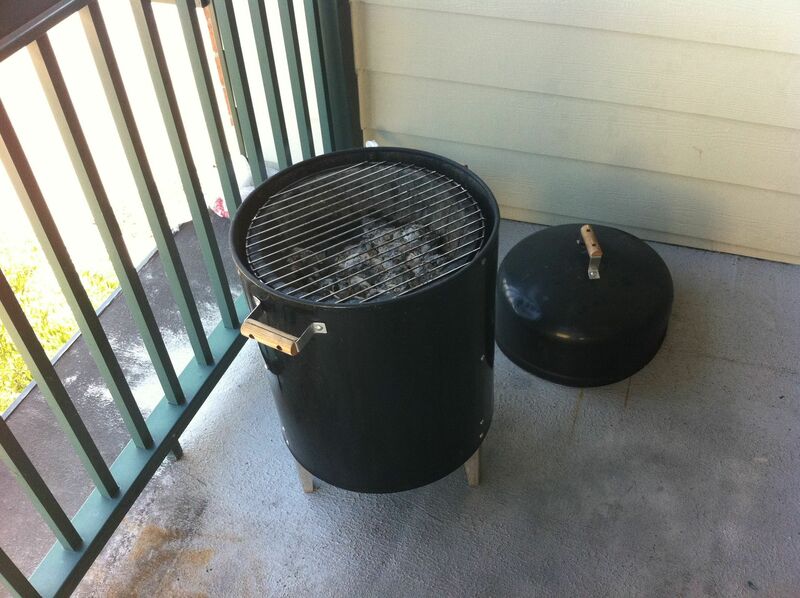 It must take a little extra time for some processing to happen on the server. This is exactly what I was looking for when Apple first announced the ability to upload straight to YouTube.